Amber Rae Alvord, age 35, of Mukwonago passed away suddenly on Thursday, November 29, 2018. Amber was born on November 25, 1983 in Milwaukee, WI to Michael A. and Denise L. (Kozlowski) Alvord. Amber was a good hearted, non-materialistic, help those in need, family loving girl. She also enjoyed gardening, crafts, scrap booking, the holiday season, volunteering at the Mukwonago Food Pantry and Thrift Store. Most important though was her love of family time. Amber loved her family and they will miss her terribly. Survivors include: daughter, Jaelynn Fagan; her parents, Mike and Denise; her sister, Danielle; her niece, Haleighy; her Auntie Debbie; her Uncles, Edmund (Amy) and Greg; other family and many friends. Funeral visitation for Amber will be on Friday, December 7, 2018 from 12:00 (Noon) until the time of her services at 1:00PM at Thelen Funeral Services (W309 S4840 Commercial Drive, North Prairie, WI) with Rev. Ginny Stuve officiating. Burial will take place immediately following at Genesee Cemetery. 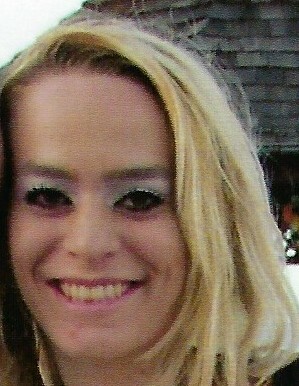 Memorial contributions in Amber’s name may be directed to the family.